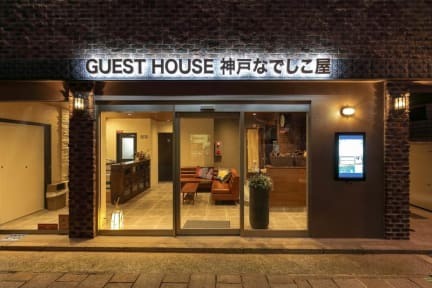 Practically set just a 5-minute walk from JR Motomachi Station, Guesthouse Kobe Nadeshikoya offers an accommodation within Kobe Chinatown. Free WiFi is available throughout the property. Meriken Park and Port Tower are a 10-minute walk away. Bathrooms are shared and come with free toiletries. 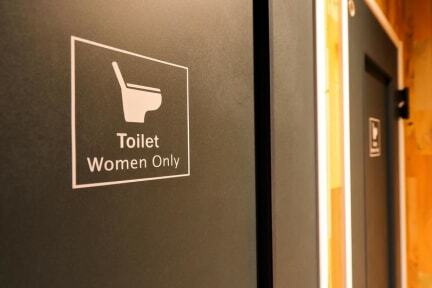 You will find female-only shared bathrooms on site. The guesthouse offers a shared kitchen and Muslim prayer room. Guests can benefit from a washer/dryer at a fee. There are multiple dining options and convenience stores within a 5-minute walk. Kobe Harborland umie is 15 minutes on foot. while Noevir Stadium Kobe is 3.9 km away. The nearest airport is Osaka Itami Airport, 40 minutes by airport limousine bus from the property. *On the third floor are bathrooms for women. *All of toilets have cleaning function. We have electric kettles, refrigerators in common space, and have hair dryers in each bathroom. USB/AC chargers are equipped with a common space on the second floor.